I had a blast this past weekend playing the DCC RPG for the first time. We adventured through the character funnel, 67: Sailors on the Starless Sea. The flavour of the game is great. The core rules are a toned down variant of d20, with a lot of clever customizations and simplifications. One game review mentions DCC RPG has more randomness to it, and I can verify that. That suits my gaming preferences, but it might thwart tacticians, munchkins, and controllers. For example, the first time you cast a spell, you roll on a manifestations chart for that specific spell. Your roll determines how the spell appears and potential casting quirks for the rest of your PC’s life. The first time the wizard cast Comprehend Languages, she rolled “Demonic Voice” that meant a real demon was speaking through the PC each time to do the translations. It also meant the wizard couldn’t speak for 1d4+1 rounds after each casting due to the stress on her throat. Another example, your characters get tougher as they go up levels. But rather than just more +1s, you get a dice kicker to add to your rolls. My fighter’s bonus on certain d20 rolls was a d3. 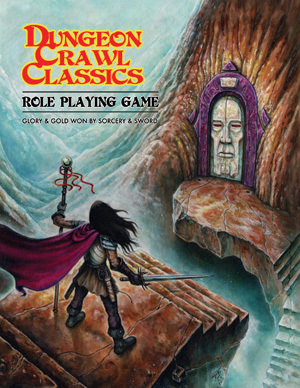 I’m going to try running Dungeon Crawl Classics now. Not sure when, as I’ve got my main campaign to manage, but I think I will prep this as a Roll20 game. By the way, where is the best place to get DCC dice via the mail in Canada? Amazon won’t ship them to Alberta. I remember buying the Primal Order book from Wizards of the Coast before the company was scooped up by Hasbro. I became very excited by their idea of a “Capstone System. They supplied a set of rules, in this case for deities, that you could overlay onto nearly any RPG system. This made the book a universal GM tool, which was awesome. 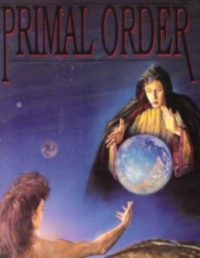 I’ve used the Primal Order many times over the years to create cosmologies and world-building deific tensions and plots, regardless of what game system my campaign was running at the time. You can just layer on the system and ideas and get fantastic gaming. So, as Tony and I were planning out the Faster Combat GMing course and we were talking about how to codify glorious stories into gruesome fights, we came up with the idea of Combat Missions and Combat Mission Templates. As soon as this idea came up, the Eureka! light bulb went off. Combat Missions and Combat Mission Templates are universal, like WotC’s Capstone concept. So I know you can apply them to your campaign right now, without knowing what game you’re running. They add story to any combat encounter. They add plot to any adventure. They add adventure to any campaign. They’re just a marvelous GMing tool you must add to your toolbox. This month, Roleplaying Tips will feature a three part series on Combat Missions, plus a new contest. Today’s feature is all about how to create Combat Missions and an introduction to Combat Mission Templates. Next week, I’ll show you how to create your own Combat Mission Templates, so you can layer them onto your games as fresh new Combat Mission storytelling devices over and over again. Next week I’ll also kick off a contest where you’ll create templates for a chance to win great prizes. And then in the last week of November, I’ll get into Master Plans – how to turn Combat Mission Stat Blocks into Combat Encounter Plans. My first goal is to help you make your combats and campaigns ten times more interesting by learning all about Combat Missions and using them in your games. Just this one tweak will make a massive difference in your plotting and GMing. My second goal is to build another Pay What You Want book via the contest next week that’s got a bunch of Combat Mission Templates in them that you all have created. I’d love to have such a book at my game table. It would be like Georges Polti’s 36 Dramatic Situations but for RPG combat encounters! My third goal is to reveal a bit of Faster Combat to you in the hopes you’ll consider enrolling. The features for the next three weeks about Combat Missions, Combat Mission Templates, and Combat Encounter Plans are straight from the Faster Combat GMing course. Like a tasty sample at the grocery store, I hope you enjoy the tips and the tool, and that you decide to enroll in the course. But that’s up to you. Meantime, everything I’m about to share are perfectly usable standalone tools you can start using today, free of charge, no enrollment necessary. I hope you try them out next game. and take up your attitude on slightly higher places. Do your combats drag on because their purpose is total annihilation? Today you’re going to learn how to avoid this common mistake and instead use combat mission objectives that go beyond “kill ’em all. Why Include Other Combat Goals? Killing everything in sight not only eats up precious game session time. Making multiple tactical decisions every turn for every character, and monster adds up quickly, especially if combat becomes the typical fight to the death. Change this perception, add variety to your combats, and save time by integrating different, believable objectives. Let real-world tactical operations, monster lore and the purpose of the adventure serve as inspiration. Failing to achieve combat objectives only opens doors to new ones. Give your party the chance to succeed gloriously or fail miserably in every combat mission. There’s always another fight! Combat encounters typically have no explicit goals. The default then is to wage combat until one side is left standing. It’s not the players’ fault, either. They are gaming in a bit of a vacuum. Adventures tend to focus on the larger goals, so individual encounters are assumed to be about killing the other side to reach those goals. The PCs get loot that makes them better, they gain XP, and they find clues. Often they remove a barrier to reaching the next encounter, and the cycle starts again. Players experience the game in new ways, instead of total annihilation each time. Missions offer new tactical challenges, making the game less repetitive and more challenging. Missions challenge more PC skills and abilities. This lets characters shine in new ways. Missions provide you perfect hooks for story-based combat. The Why? of combat generates story as you play. 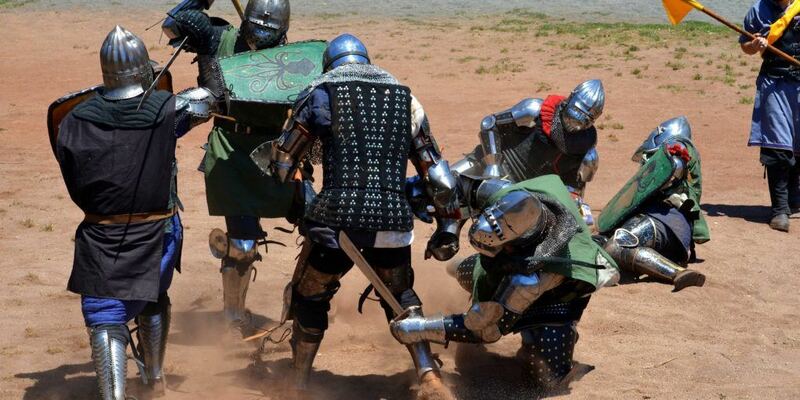 Several fun aspects of combat are amplified: tactics, whacking, maneuvers, teamwork. You still include the things that make combat great: foes, drama, treasure, clues, and so on. These do not go away. You are actually packing more into combat with missions. Missions offer you more design options. For GMs who like design, give me a high five! Combats become shorter. Once the mission has succeeded or failed, you can hand-wave the final rounds, make foes flee or withdraw, encourage PCs to flee or withdraw, and so on. The mission is the focus, not the last hit point of the enemy. These three ideas form the basis of the specific alternative mission objectives later in this lesson. We’ll explore these further in next week’s lesson, where we’ll get into specific design questions. History and media are filled with examples of leonine tactics and methods employed by countless cultures and forces, all the way up to and including our modern day armed forces. Monster lore includes everything about a monster or NPC’s profile: history, habits, intelligence, psychology, ecology, and culture. Monster profiling means learning what creatures value most and helps define the types and complexity of objectives you can expect in combat. Now drill down to specific adventure-relevant motivations for the party and their adversaries. These motivations are part of the chain of events in the story that leads up to any given combat. Knowing what drives each group in the current adventure means better execution of engaging combat missions. When a combat mission fails, decide whether combat continues or whether a narrative resolution makes sense. Either extend combat towards a different objective, or save time by wrapping it up and advancing the story in new directions – new locations, opponents and encounters! For example, the party finally tracks down the gang of thieves who stole an enchanted elven tapestry from the party’s benefactor. The two sides engage in a pitched battle on the roof of the thieves’ hideout: an abandoned mansion on a cliff top overlooking a dangerous, rocky shore below. After briefly engaging in a fight (3 rounds), the gang leader decides to shove the tapestry over the edge of the rooftop where it rested, jumping right along after it. This failed attempt to acquire a valuable treasure from the thieves doesn’t mean the mission or adventure comes to a screeching halt. The fight atop the rooftop might continue, or the party might jump after the escaping thief and the tapestry, taking the battle and mission to the rocky shores below. Or perhaps the party chooses to stay on the rooftop to finish off, subdue, or force the surrender of the remaining thieves. The party gathers more information and eventually gets a chance to acquire the tapestry in a future mission. Below we present several combat missions. Each uses a stat block Tony and I designed so you can read, understand, and assess missions easier. Mission Name: To help you identify, sort, and find missions in the future. Mission Success: The mission objective(s). Mission Failure: The fail state. What constitutes mission failure? Encounter Elements: Things you need to include in the encounter, and things that might make the mission even more interesting. Tactics: GMing advice to help or remind you how to run the mission well. Twists: Unexpected elements to surprise players and make the mission memorable. Here are our five favorite combat missions, including a short description and advice on how to include them. Consider these missions to be templates. You can run the same mission over and over – just change some of the details each time. For example, the Acquire mission template can be used for quest-style combats several times in an adventure, no problem. Tip – Time is almost always a factor in missions. Keep typical time limits for mission success to just a few rounds – 1-5 rounds total. The party locates and seizes a valuable object in the area. The party is unable to locate or take possession of the object. The enemy takes the item from the area or the item was moved from the area earlier. Include monsters that hamper or punish mobility, making the acquisition of the object challenging. Include enemy escape plans and routes should the party get too close to the object. Include treacherous terrain or obstacles such as wards and traps that surround and protect the item. Enemies will move and attack to intercept and delay any PC advancing upon the object. They will also funnel the party into the most dangerous paths to the item at every opportunity, such as shoving the characters into the pool of bubbling acid that surrounds a ghostly treasure chest whose secret contents the party seeks. The combat will be dominated by enemy attempts to protect, escape with or even destroy the object. The object is worn by or grafted to the skin of a creature, making this more than a simple item retrieval mission. The item is much larger and heavier than expected, making normal means of taking or carrying it impossible. “We’re not gonna make it! The party outlasts or survives an area and time period of massive natural or magical destruction – all while fighting an enemy and competing for safe routes out of the area. The party is unable to exit the devastated area in time. The party is captured by the enemy, or is badly hurt, buried alive, or killed by the devastation. Include monsters with multiple movement modes, such as a climbing, burrowing, or the ability to ignore treacherous terrain. Include treacherous terrain or hazards, such as rockslides, avalanches and magical storms. Enemies will look to force PCs into dangerous terrain or hazards. They will seal off or attempt to block exits they take. The combat will be a series of brief skirmishes covering a lot of ground, moving towards exits. The devastation can be stopped with a spoken magical key word, found in ancient scripts on a wall slab or in a prior encounter. One or more enemy creatures may attempt to help the party escape, taking them to a safe area or to a place where they might be able to slow or stop the destruction, such as a mechanism or the ancient script riddle. The party defends a location from enemy attacks for a period of time, protecting a location or chokepoint and preventing enemies from getting past them. The enemy breaks through the line onto the location. The enemy takes control of the location or proceeds past it towards the next target. Include monsters with multiple movement modes, such as a climbing, burrowing, the ability to ignore treacherous terrain, and flight. Include siege weapons, on both sides, as appropriate. Include an opportunity for the party to prepare for an incoming enemy force, using the extra time to manage their gear and resources and identify ideal positioning points in the area. For example, the party fashions make-shift defenses or traps out of their gear and the natural materials and furnishings around them, or positions scouts and snipers in high and defensible locations. Enemies will attempt to overrun the chokepoint with concentrated attacks, trying to break the line. The combat will be a test of endurance, forcing the party to adapt to bolster areas where they are taking heavy damage. The location is unexpectedly flanked or attacked by an additional force of flying creatures later in the combat, forcing the party to protect more entry points and cover more ground. A valuable item (see Acquire) is in the center of the location the party is defending. The party makes their way to a location by disabling foes quickly and remaining undetected. The enemy raises an alarm or communicates the presence of intruders to the larger force. The party calls too much attention to itself – they don’t avoid enemy detection or dispatch enemies within one round of encountering them. Include one small encounter or a series of small encounters with weak monsters that can be knocked unconscious or killed quickly. Include terrain features such as pits, cliffs, and bridges where monsters can quickly be eliminated from combat. Include mechanisms and items that can be used as mass communication devices, such as gongs or signal fire towers, guard dogs, horns or whistles, or intruder-sensing magical alarms and wards. Enemies want to raise the alarm first and fight second. Most of the combat consists of small windows of opportunity for the PCs to creatively and quickly thwart the enemies from raising the alarm. The enemy has been tipped off. They set a trap or ambush at the target location, and allow the party to infiltrate their way to the hazard. The target location is not what the party expected. Illusion magic masks its qualities. Or the person or item (see Acquire) they expected to find is no longer there. The party rescues hostages or prisoners, saving their lives and returning them to safety. The party is unable to save the hostages or prisoners in time. The enemy takes the hostages to a different location or kills them. Ensure monsters are in position to easily harm or outright kill hostages or prisoners. For example, include a few monsters standing right over helpless or unconscious victims. Include physical barriers, such as prison cells, cages, and manacles, for the party to have to deal with while trying to rescue the victims as quickly and as safely as possible. Enemies will look to harm or kill their prisoners or hostages first and directly fight the party second. The combat will likely play out with the party first targeting foes that endanger the prisoners or hostages the most. Enemies will use the hostages as shields, to slow party pursuit, or as bargaining chips if the party starts to win. The prisoners or hostages are in a mobile prison, such as a prison cart, meaning some of the monsters might take off with the cart or send it careening over the nearby cliff edge during the fight. Some of the prisoners or hostages are capable fighters, and once freed, help the party kill or drive off their captors. 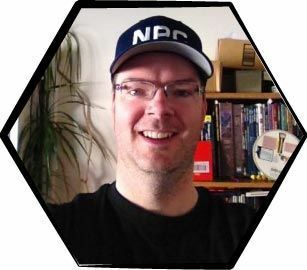 Something Tony and I do for nearly all of the 52 lessons in Faster Combat is have an activity so you can practice and get GMing experience in a safe and collaborative place. Here’s the activity for Lesson 2.02 Combat Missions. I challenge you (en garde!) to do this activity and email me your “homework. I’ll gather up all the responses and publish them back to you, because I think it would be fun to compare how each of us approached the challenge. Step 1) Review the two typical combat grind type encounters below. Step 2) Rewrite each into a Combat Mission by choosing one of the five Combat Mission Templates above. Step 4) Send [email protected] your two re-imagined encounters by November 16. The party stumbles upon the smashed remains of a gnoll party in the woods, with large ogre footprints all around the broken bodies. Moments later, the ogres crash through woods, tufts of bloodied fur still clinging to them. They roar as they attack the party. While resting at the weathered ruins of the snow-covered temple, the icy boulders and broken pillars stir and crack to life. The bones of the fallen dead, still wrapped in tattered holy vestments, rise in anger even as dark pools of slimes and oozes emerge from the ruin as well, burning away snow and rubble alike as they glide towards you. So take one of the Combat Mission Templates – Acquire, Escape Destruction, Hold the Line, Infiltrate, or Save the Innocent – and apply it to the first encounter. Re-write the encounter so it becomes a great Combat Mission. Then pick a different template and apply it to the second encounter. Email me your creations, or questions.